A design, strategy and communications kid, professional artist, and serial entrepreneur; that believes in the power of creativity, imagination and critical thinking. She holds a degree in Media, Information and Technoculture. LocalBitcoins is the largest Bitcoin marketplace, decentralized and worldwide; the company operates in over 4,500 cities and 150 countries. Founded in Finland, the business operates with a few employees but functions large and provides users with a two-factor authentication system, and SSL encryption for the digital wallet. Recently, the company launched a coupon redemption service; Bitcoins can be used to purchase coupons which could then be used by others. This is a tangible platform for commodification within the cryptocurrency market. Users are able to check authentication of coupons using QR codes, or the address. Identity theft becomes less of a concern and verification is generally done on the spot. The coupons are an innovative approach at effectively increasing the quick and easy exchange of Bitcoin currency. LocalBitcoins doesn’t take responsibility of the exchange rate fluctuations, but tries to make sure that the exchange rate is relatively risk-free for the seller. Currently the selling rate is maximum of bitstamp 24h high, and localbitcoins.com selling average. Localbitcoins claims the latter tends to be of higher of the two. Moreover, Kangas has plans to research what would be the best rate for users. Jeremias Kangas, CEO of LocalBitcoins.com answered a few questions Bitcoinmagazine.com had for him – take a look! In order to create coupons, issuers must apply for approval – what is the criteria for this process? The coupons are [an] experimental feature, that is why the issuing is limited to [a] limited group. Applications are approved on a per-account basis, there are no specific requirements. Since redemption requires a Localbitcoins.com account, how does it work if you are not a user? 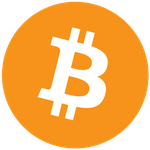 When a coupon is redeemed, the user can create an account to which the Bitcoins are automatically credited, OR they can type the username of an existing account. In the latter case, Bitcoins can be redeemed without the user having to log in at all. How are the coupons visually presented? We have a template for the coupon, but also CSV export for the coupons is possible, so that traders can create their own design. Is there a way of printing batches of coupons, for example: a hundred coupons of $1 USD each?It is very easy to create big batches. There is possibility to print as many coupons at any nomination. Currently, the feature prints 3 coupon per page via template. Does Your Favorite Team Accept Bitcoin?